Order Online with Promo Code! The block ticket order has ended, but you can order your tickets online. 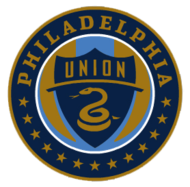 Go to www.philadelphiaunion.com/promo and use the Promo Code MACK2013. The tickets, with processing fees will be $45.50 with $5 going to Mack’s Fund. John – Thanks for letting me know! I have corrected the information on our end! Just send the check to me at the address above. And thank you so much for your support!